If you are not on the list you will not be able to get on the bus. 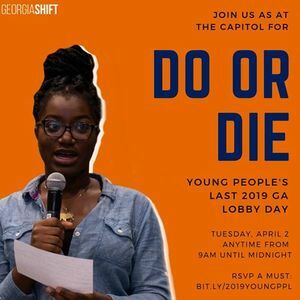 Join us for the last Lobby Day of the year for Georgia Shift, our DO OR DIE day where we can all participate first hand in the changes we want to see in our state. 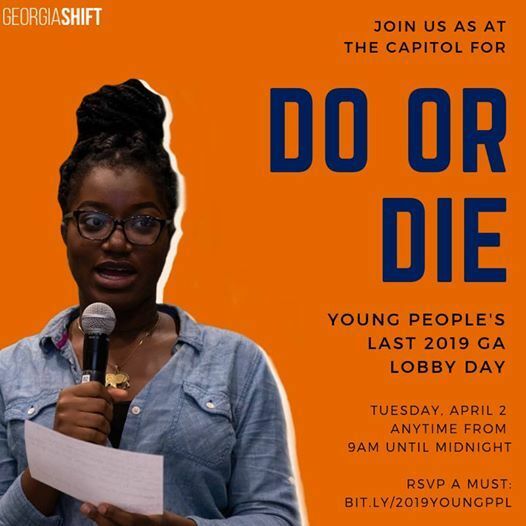 We will have meals, snacks, tshirts, buttons, and other swag through out the day as we make the presence of young adults known at the Capitol. Feel free to come for a block or two or even the full day. You must RSVP at our Google link below to get a tshirt and other attendee benefits. See you at the table, our table, the Georgia General Assembly!